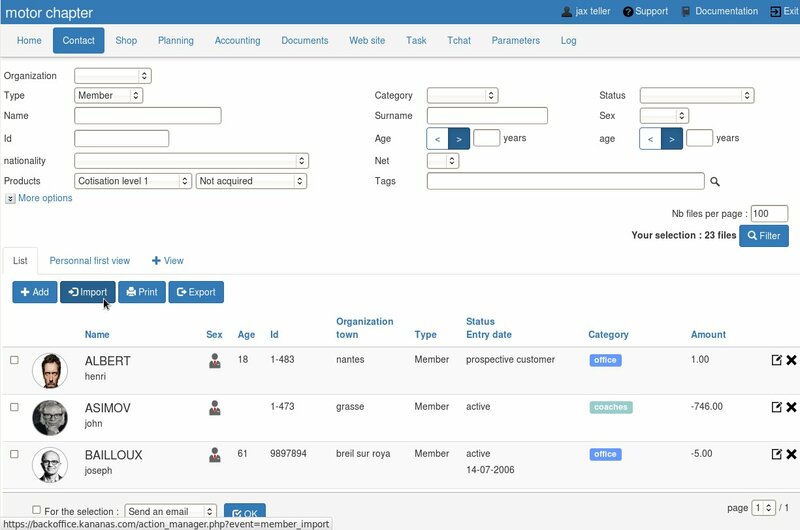 If you already have a contact database ( members, externals …), you can import it into our association management software. You must export your contact list in CSV format. This is possible from your favorite spreadsheet ( csv save as ) or by exporting your database . To import your contacts file, use the ” Import” link in the “contact” of Kananas. 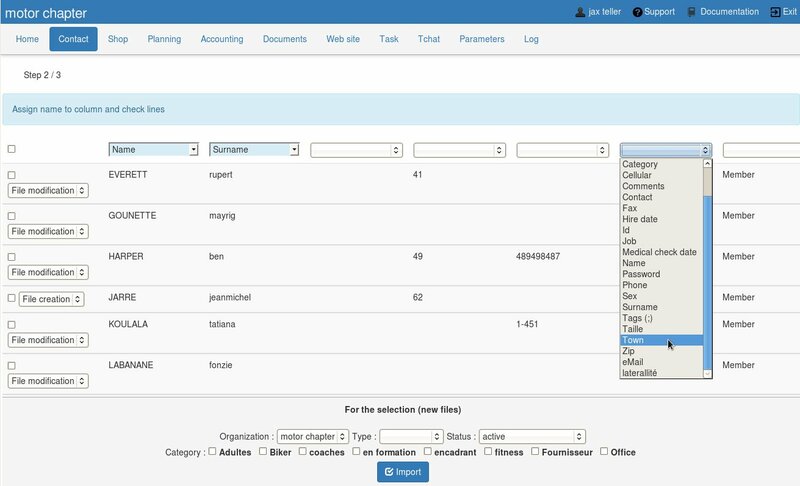 Attach the file to the form , and then name each column and check the lines that you want to import (one line = one person). It is necessary to name each column you want to import to specify in which field of the database you store the information . The columns that you do not name it, will not be imported . The columns Name / Surname are obligatory and are used by the software to detect if the import is an updated file or a creation file. You can also use the import feature to update some informations in your database. In this case, you must fill only name, surname and the columns you want to update in the header of the table. Import free fields : simply fill in your CSV file the value of the field as you have defined in the settings. If there is a “multi- values ” field , you need to enter its values like this : value1, value2 (comma is the separator) . When the selection is complete click on the end page button .